Both science and the world’s spiritual traditions present a cosmological worldview, which may be expressed in scientific, religious or mythic form. In order to understand ourselves and our place in the grand scheme of things, we need to understand the laws and principles at work in the universe. Cosmological ideas and theories challenge our understanding of reality and raise important issues and themes for contemplation. The author was a student of P.D. Ouspensky and much of the content of the book is based on the principles of the Fourth Way, which Ouspensky learned from G.I. Gurdjieff. 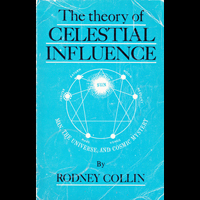 Collin attempts, with some success, to connect scientific findings from a wide range of disciplines with certain spiritual principles which show a "cosmic unity or hidden whole" underlying the phenomenal world. 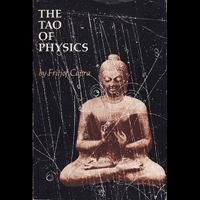 Physicist Fritjof Capra explores the parallels between the underlying concepts of modern physics and the fundamental ideas of Eastern mysticism. 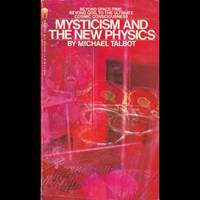 He gives a clear account, supplemented by diagrams and photographs, of the theories of subatomic physics and relativity theory, and relates the worldview emerging from these theories to the spiritual traditions of Hinduism, Buddhism, Taoism, Zen and the I Ching. 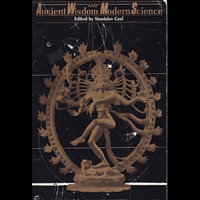 This engaging book, subtitled "The Encounter of Modern Science and Ancient Truth," questions the assumption by Western science that we can understand the universe without understanding ourselves. 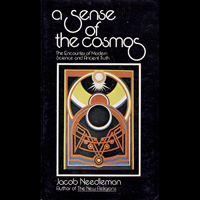 Professor Needleman emphasizes the importance of mind and consciousness as he explores fields as diverse as astrophysics, medicine, psychotherapy, magic and humanism. 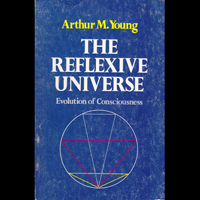 In The Reflexive Universe, scientist and inventor Arthur Young presents a comprehensive model of the nature of the universe and the evolution of consciousness. He shows the relationship between science and metaphysics by drawing from the fields of physics, chemistry and biology as well as Eastern philosophy and ancient myth. 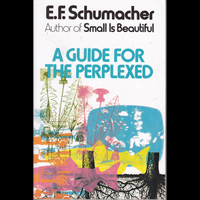 E.F. Schumacher, author of Small is Beautiful, offers a "manual for survival" with his insightful critique of modern science and the belief structure of contemporary civilization. Yet the book is ultimately positive and life-affirming, as he provides a sensible guide to the full realization of human potential by articulating a synthesis of the primary tenets of the world’s major religions. 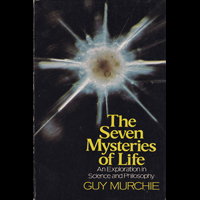 In this engrossing and visionary book, Guy Murchie combines a comprehensive knowledge of science with a poetic, mystical spirit. He explores the plant, animal and human kingdoms in the context of the great mysteries of life such as the nature of the universe, the interrelatedness of all life forms, death and transcendence, and divinity. In the words of Buckminster Fuller, "the book embraces all the most important information about everything humanity needs to know." 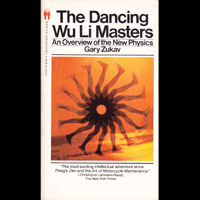 Using clear, non-mathematical language, Zukav provides an accessible overview of the ‘new physics’ paradigm. 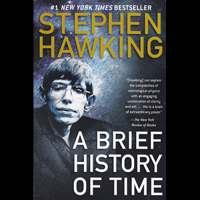 He describes the fascinating discoveries of advanced physics, relativity theory and quantum mechanics, and introduces the reader to the brilliant minds of Albert Einstein, Max Planck, Neils Bohr and other notable visionary scientists of the 20th century. 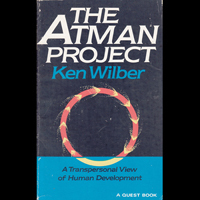 Transpersonal psychologist Ken Wilber presents a comprehensive, systematic integration of Western psychology and Eastern spirituality based on the evolution of consciousness. His central thesis is that the aim of human evolutionary development is the attainment of transcendent consciousness, which is referred to in various spiritual traditions as God, Buddha-nature or Atman. Dr. David Bohm studied theoretical physics with Albert Einstein for a number of years. 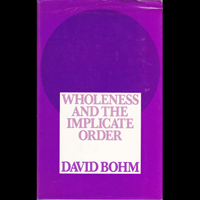 In Wholeness and the Implicate Order he develops a theory of quantum physics which treats the totality of existence, including matter and consciousness, as an unbroken whole. Central to his thesis is the notion of an underlying implicate order which, when ‘unfolded’ as the explicate order, reveals the manifest world of space and time. The book relates the findings of relativity theory and quantum mechanics to consciousness, the human brain, the nature of time, energy centres in the body and occult phenomena. In the words of the author: "There is no strict division between subjective and objective reality – consciousness and the physical universe are intimately connected." 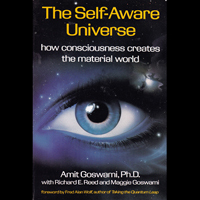 Subtitled "On the Mechanics of Consciousness," this ground-breaking book takes the reader from our familiar world of phenomena to a startling new view of ourselves in an expanded, conscious, holistic universe. Bentov writes with clarity, humour and imagination as he challenges our most basic beliefs regarding the nature of consciousness and reality. 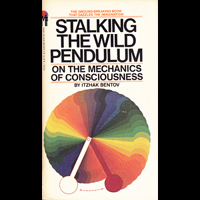 This companion volume to Stalking the Wild Pendulum explores the process of creation from the point of view of the universe as a hologram. 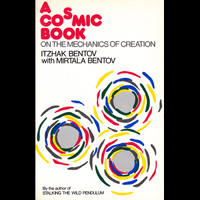 Bentov has included numerous line drawings to help illuminate some of the challenging concepts presented in the book: energy fields, black holes, the void, light and the Absolute. 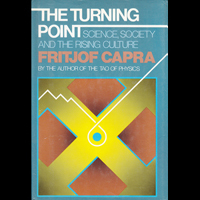 Capra shows how the findings of modern physics foreshadow an imminent revolution in all the sciences and a deep transformation of our worldview and values. By presenting a powerful critique of Cartesian thinking in biology, medicine, psychology and economics, he explains how our reductionistic approach to systematic problems has brought humanity to a perilous impasse. He proposes a new vision of reality involving fundamental changes in our thinking and perception based on new concepts emerging from quantum theory, the systems view of life and consciousness research. 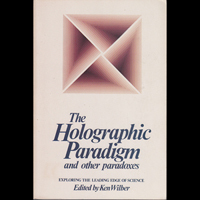 Ken Wilber has assembled an important collection of essays which explore the leading edge of science, ranging from subatomic physics, the uncertainty principle and multi-dimensional realities to the brain/mind relationship, parapsychology and the holographic paradigm. Contributors to the volume include prominent thinkers and scientists such as Karl Pribram, Fritjof Capra, David Bohm, Marilyn Ferguson and Willis Harman. The volume is an anthology of important articles by scientists and spiritual teachers which explore the convergence and synthesis of science and the "perennial philosophy." Among the topics covered are transpersonal psychology, meditation, kundalini, morphic resonance, holographic brain functioning and the evolution of consciousness. The authors contend that science has lost its bearings in the last few centuries in favour of a narrow, fragmented approach to nature and reality. 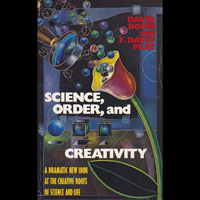 They propose a return to greater creativity, open-mindedness and communication in the sciences, asking for a "renewed emphasis on ideas rather than formulas, on the whole rather than fragments, on meaning rather than mere mechanics." Dr. Amit Goswami is an American professor of physics who has explored a variety of Eastern spiritual teachings. 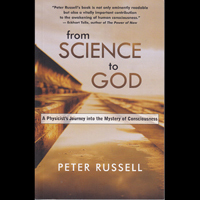 His stimulating and timely book, subtitled "How Consciousness Creates the Material World," attempts to integrate science and spirituality. He challenges the widely held belief by Western science that matter is the primary “stuff” of creation, and proposes instead that consciousness is the true foundation of all we know and perceive. 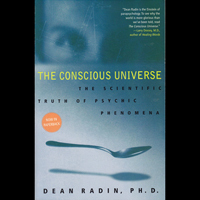 Dr. Dean Radin is a parapsychologist well versed in the arguments frequently put forth by skeptics of the reality of psychic phenomena. He provides convincing scientific evidence for telepathy, clairvoyance, the efficacy of prayer and other related phenomena, and argues that we are at a turning point in our understanding of the nature of mind, consciousness and reality. Stephen Hawking is widely regarded as one of the greatest minds of our time and possesses a talent for describing abstruse ideas in a language we can all understand. In this best-selling book he explores some of the most profound questions of physics and astronomy: How did the universe begin and what made its start possible? Is the universe unending or are there limits to its size? Why does time appear to flow forward? What are black holes and dark matter? These and other thought-provoking concepts are given a new perspective as Hawking seeks to understand the ultimate secrets at the very heart of creation. 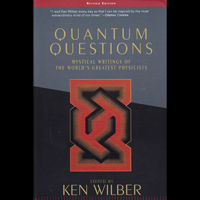 Ken Wilber has assembled a fascinating collection of the mystical writings of the world’s greatest physicists. Albert Einstein, Werner Heisenberg, James Jeans, Wolfgang Pauli and other leading physicists of the 20th century address the fundamental questions of life and the nature of reality, as they seek a genuine reconciliation between science and spirituality. Ravi Ravindra, a professor of both Comparative Religion and Physics, reminds us that science, just like religion, is at its heart a search for truth. By identifying both the remarkable similarities and significant differences between the pursuit of science and that of religion, he offers some insightful solutions to the technological and moral challenges of our times. The author has a background in physics and psychology, but also studied meditation and Eastern philosophy in India. His lifelong exploration of the nature of consciousness changed his world-view from convinced atheist to an integrator of the prevailing scientific paradigm with traditional mystical and spiritual teachings. 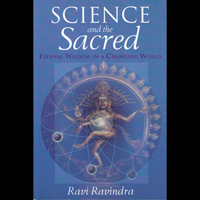 The book offers a thoughtful basis for the reconciliation of science and spirituality in our modern times. 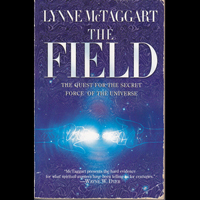 The Field is a highly readable and influential book by science writer McTaggart that offers a picture of an interconnected universe supported by a vast, invisible energy sea or field. Her thesis that the human body, mind and spirit are deeply connected to the environment on many different levels is validated by original research and documentation from many inter-disciplinary areas of study. 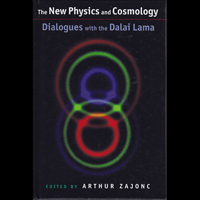 The Dalai Lama, three prominent physicists, two astrophysicists, and one historian share their thinking on relativity theory, quantum physics, and cosmology in this fascinating book. This exchange between thinkers versed in Eastern and Western approaches to knowledge is both thought-provoking and fruitful as they explore the philosophical and spiritual implications of contemporary physics and cosmology. 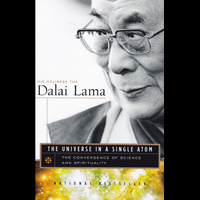 The Dalai Lama presents a persuasive analysis of why all avenues of inquiry – scientific as well as spiritual – must be pursued in order to arrive at a complete picture of the truth. In doing so he draws significant parallels between contemplative and scientific interpretations of the world around us. "The legacy of this book is a vision of the world in which our different approaches to understanding ourselves, our universe, and one another can be brought together in the service of humanity." 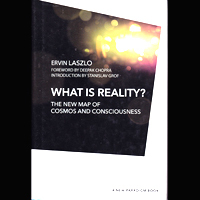 In this important and ground-breaking book, philosopher and systems theorist Ervin Laszlo proposes that an interconnecting cosmic field lies at the foundation of reality. 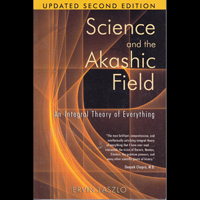 This so-called Akashic field has been confirmed by the discovery by physicists of a zero-point field consisting of a subtle field of fluctuating energies from which atoms, stars, galaxies, human beings, and even consciousness arise. The co-authors are spiritual explorers who envisage a meaningful, interdependent universe that is perfectly tuned for consciousness to explore itself; one in which human beings are conscious co-creators of our evolving cosmic destiny. The book combines the latest findings of leading-edge science with the insights and wisdom of spirituality to create a revolutionary and empowering new vision of reality. 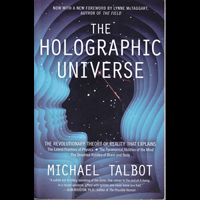 In this classic book on the relationship between science and spirituality, Michael Talbot argues that the universe itself is one great hologram, in which each part reflects the whole. This theory explains many of the problems of quantum physics, as well as paranormal experiences, miraculous healings, feelings of cosmic unity, and other unsolved riddles of the brain and body. 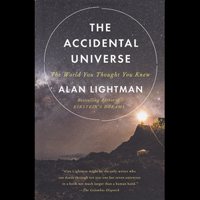 Theoretical physicist Alan Lightman explores the moral and philosophical questions raised by recent discoveries in science. Among the topics covered are the relationships between science and religion, whether the creation of the universe is purposeful or accidental, and the manner in which modern technology has separated us from direct experience of the world. "What we see and understand of the world is only a tiny piece of the extraordinary, perhaps unfathomable whole." Although many scientists argue that human beings are chance products of a purposeless universe, others believe that humanity has an essential role and responsibility in creation. 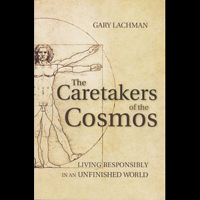 Gary Lachman brings together many strands of esoteric, spiritual and philosophical thought to form a counter-argument to the pervasive nihilism and apathy that, he claims, permeates the 21st century. He argues that humans are ‘caretakers’ of the universe, entrusted with the task of healing and repairing creation itself. Walt Martin and Magda Ott, eds. 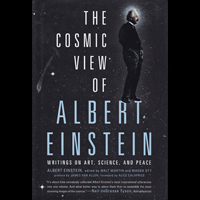 The book is a collection of Einstein’s writings on art and creativity, science and religion, imagination and curiosity, peace, ethics and morality drawn from his books, essays, letters and interviews. Accompanying the text are spectacular colour images of the cosmos, ranging from our planetary neighbours to the edge of time and space. 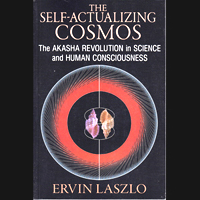 Ervin Laszlo and a number of contributing scientists and thinkers, including Deepak Chopra, Ken Wilber and Ed Mitchell, explore the current revolution in scientific thought and the latest findings in support of the Akashic field. They show how the cosmos is a coherent, self-organizing whole, where all levels together create the conditions for the emergence of life and consciousness. 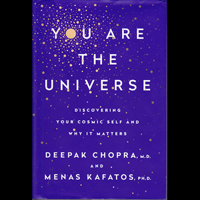 World-renowned pioneer in integrative medicine and personal transformation Deepak Chopra, in collaboration with professor of physics Menas Kafatos, preview a new alliance of science and spirituality. The title of the book alludes to the concept that each of us is a co-creator of reality with the ability to awaken to the infinite possibilities inherent in consciousness. Embracing both science and spirituality, the authors explore humanity’s place in the universe. 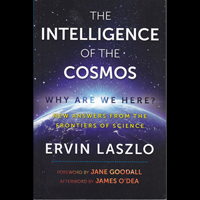 Ervin Laszlo and his contributors from the forefront of science, cosmology and spirituality present an emerging world-view of the universe as an interconnected, coherent whole informed by a cosmic intelligence. 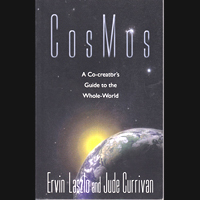 The evolutionary implications of this holistic understanding of the cosmos offer insights into the social and environmental challenges facing humanity, as well as enabling us, both individually and collectively, to rediscover our identity and purpose in the world. 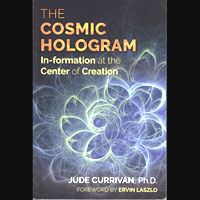 Cosmologist, futurist and healer Jude Currivan examines the latest research across many fields of study and scales of existence to show that the universe is constructed as a ‘cosmic hologram.’ She demonstrates how consciousness connects us to the many interrelated layers of the universe, making us both manifestations and co-creators of the cosmic hologram of reality.